The Rude Boyz playing in Salem. Salem Heritage Village was all lit up and green on Thursday night as the annual St. Patrick’s Festival was opened. Hosted by Calypsonian Keithroy “De Bear” Morson, the short ceremony was interspersed with speeches and entertainment. Hon. Premier Donaldson Romeo focused his remarks on the ongoing discussion of whether the festival should go back to more of a nationalistic focus on the St. Patrick’s Day Slave Uprising of 1768 or a more modern push for connections with Ireland. He said everyone had the choice to make the day meaningful to them. 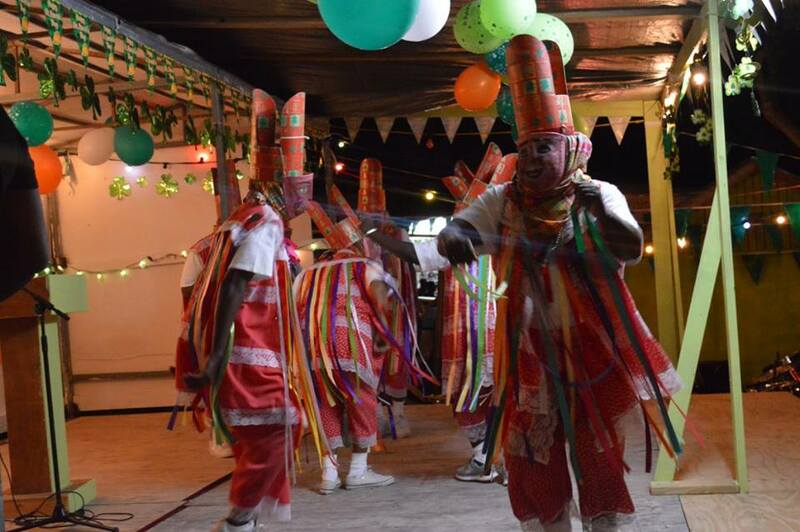 Lady masqueraders performing at the Opening of the St. Patrick’s Festival on Thursday, March 10, 2016. Director of the Montserrat Arts Council Chadd Cumberbatch congratulated the organisers and pledged their support to the development of the festival. He also welcomed home the many Montserratians and visitors who have been arriving on island for the celebrations. The evening’s entertainment included performances by Junior Calypso Monarch Keon “Dragon K” Christopher, the Lady Masqueraders, the junior section of the Emerald Shamiole Masqueraders, and the Volpanics. There was also a fashion featuring modern outfits using the national madras designed by Sheryl Cassell. The ceremony was followed by Rhythm Night which kept a variety of music going all along the Salem strip into Friday morning. The St. Patrick’s Festival is fast becoming a popular attraction for nationals and visitors. 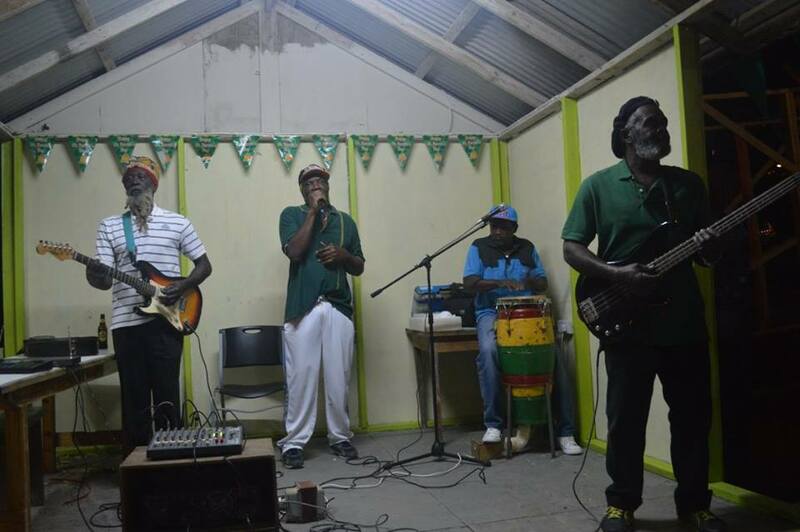 Upcoming events include, Market Day on Friday at Little Bay, the St. Patrick’s Festival Dinner on Saturday, the Junior Calypso Competition on Sunday evening and the inaugural ball on Monday night.